Busy Bee Candles offer a fantastic range of handmade Wax Tarts and Wax Melts available in a huge selection of over 200 amazing fragrances. All Busy Bee Candles Wax Melts are handmade in the UK using natural soy wax, the best essential and fragrance oils and special wax dyes. Busy Bee Candles Wax products are vegan friendly! 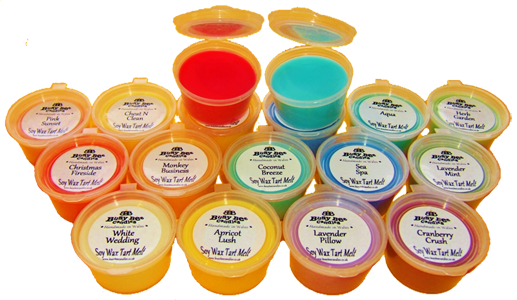 All of our Wax Tarts and Wax Melts will simply fill your home with incredible fragrance for hour after hour. You won’t believe how long they last! Busy Bee Candles offer three types of Wax Melts. 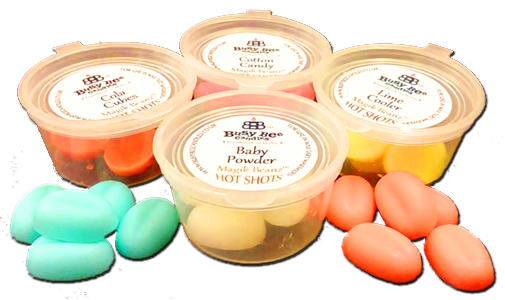 Traditional one piece Wax Tarts, Magik Beanz (which contain 15 very high strength little wax melts in a pot) and Hot shots (which contain 5 super concentrated little wax melts in a pot). Each will provide you with incredible long lasting home fragrance. You simply have to choose the fragrance and the product! Must be tried to be believed!